Our 11 bay, covered, floodlit driving range is a great facility to utilise when the weather isn’t so good for golfing. In December 2016, we decided to utilise some of the bays and make a temporary reception and coffee shop in there until we can look to replace the old clubhouse. The range area is relatively flat and always cut to fairway height to give a good indication of landing. If you don’t play the course but use the range as your practice facility, it is still worth joining our Affiliate Membership. 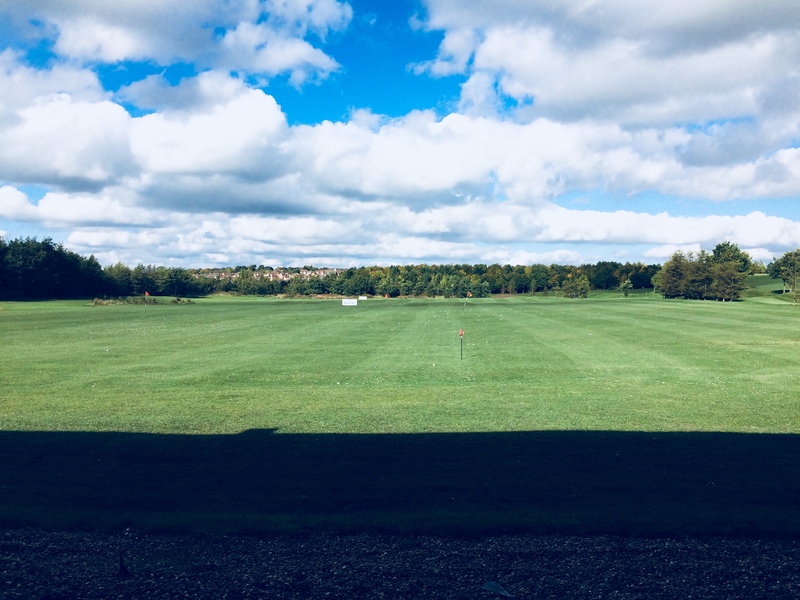 If costs just £10 for membership to 31/12/22 and gives you immediate access to affiliate member rates on driving range, The Links Course, FootGolf and coffee shop. You can join by filling in our membership form here – you will need a valid email address and you will need to come to Reception to pay the £10 fee and to have your photo taken for your membership card. If you don’t have an email address, you will need to fill in a paper form available from Reception. Surely not? Nothing is Free? Our free coaching nights do exactly what they say on the tin – provide high quality golf coaching for free. What Time: Between 6pm and 8pm (last baskets at 7:30pm). Cost: See price list above for basket sizes and cost. Coaching is FREE!